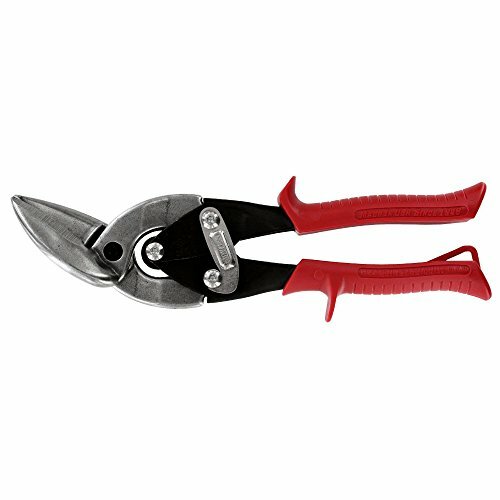 Midwest Tool and Cutlery Company provides the finest and most reliable tools for any type of job. Offset Left Cut Aviation Snip. Blades are austemper heat treated for a hardened cutting edge that outlasts all others. Hot drop forged molybdenum allow steel blades are virtually unbreakable, with long lasting edge life. Unbreakable double, overwind spring is guaranteed forever. Heavy gauge steel handles maximize force into cutting power and blades soft and durable copolymer grips will not twist or wear through. Ergonomically optimum 5.5", 140mm handle opening. Full length to point cuts up to 18 gauge CRSM or 22 gauge SSSM, with less than 80 lbs., 36 kg. of hand pressure. Blade serrations per inch 2.54CM grip without slip or scar. Grade 8 hardened center pivot bolt threaded into back blade maintains adjustment for optimum cutting. If you have any questions about this product by Midwest Tool & Cutlery, contact us by completing and submitting the form below. If you are looking for a specif part number, please include it with your message.